At Zoëtry Wellness & Spa Resorts we’re only interested in providing our guests the best in service and amenities. This includes the most relaxing spa treatments, the most comfortable accommodations and even the best views! And fine dining is no exception, especially at Casa Rolandi, one of the delicious dining options at Zoetry Villa Rolandi Isla Mujeres. But what makes Casa Rolandi so special? 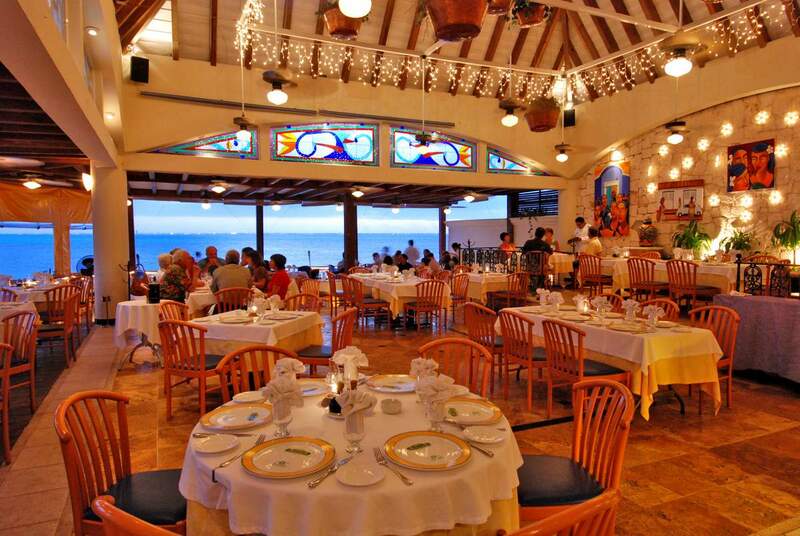 The relaxed casual dining room at Casa Rolandi is enhanced by panoramic ocean views. 1. The gourmet cuisine – Casa Rolandi serves an elegant fusion of Northern Italian and Swiss cuisine. Chef Daniele Müller also utilizes Mexican influences to reflect the restaurants beautiful background. 2. The Celebs – Once you’ve dined at Casa Rolandi you can let all your friends know you’ve dined at the same fancy eatery as Bono, Tony Blair and many more big names in movies, music and politics. Plus, no matter who you are you’ll be treated like your on the A-list! 3. The Awards – Casa Rolandi has earned honors from some of the biggest names in the industry. They are the 2012 Fodor’s Choice selection, named by the leading name in travel guides. Since 1992, Casa Rolandi has been a member of The Chaîne des Rôtisseurs, an organization dedicated to keeping the classic French culinary traditions alive. Add in an International Star Diamond Award and recognition from the Distinguished Restaurants of North America and you have yourself a very well decorated establishment! The only thing left is you! Join us and experience Casa Rolandi for yourself, included in your Endless Privileges® package. Book today, our special offers are as mouth-watering as your dinner will be! This entry was posted in Zoëtry Villa Rolandi and tagged casa rolandi, food blog, Foodie, Zoëtry Wellness & Spa Resorts, Zoetry Villa Rolandi. Bookmark the permalink.